When it says “2013”, what are your thoughts? If you’ll ask me, I’d say it has been indeed a fun-filled year. In this digital age, all the known techs are actually the ones that help us get through with our everyday activities. Also, these techie gadgets we have always succeed to keep the boredom at bay. One of which could be found at hand, and that’s no other than our trusty handheld device we call smartphone. Smartphones never go out of style as each year all the big boys of the mobile industry see to it that they have something better to offer on the table—talk about the staggering features of each kind. But as the year 2013 ended, what do you think amused you most with smartphones throughout the year? This has to be said: aside from the neatly designed hardware, software applications also get the limelight as they make these seemingly blank canvasses be as interesting and functional than what the hardware offers. Looking back, can you still recall the apps that got your eyes and fingers glued on your phone’s screen? Read on to remember all the best apps of 2013 that got most of us—if not all—addicted. 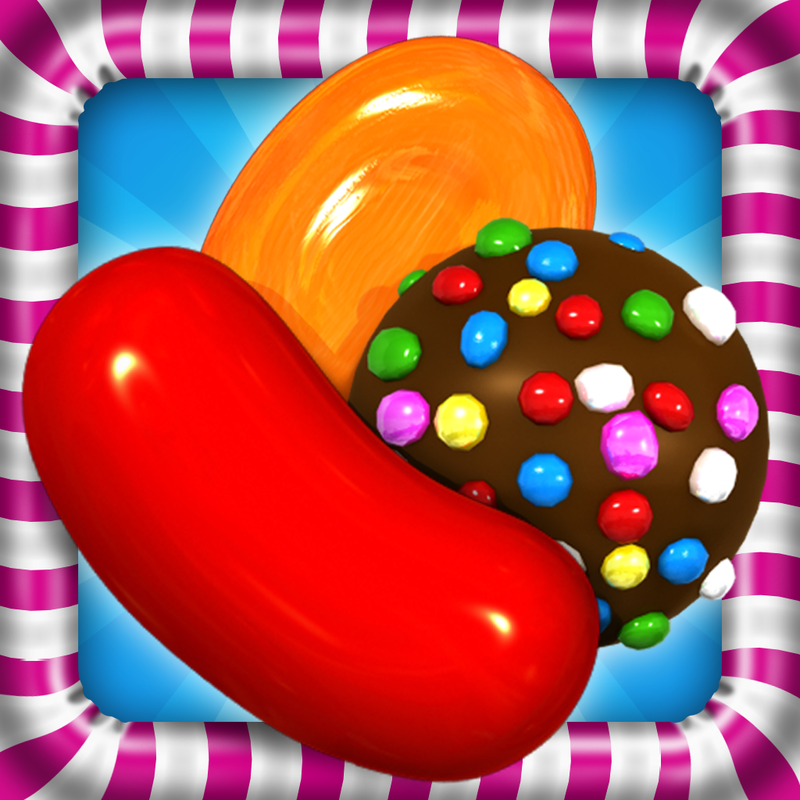 If you haven’t tried these apps before the year 2013 ended, it’s never too late. After all, they are there for us to enjoy. Load them to your phones now and check out the fresh apps of 2014 that are absolutely worth a try. It is just common for siblings, especially twins, to have conflicts that can further lead to a full-blown sibling rivalry. And for the people around them, they can’t help but compare. Often, it’s a case of a health competition, but there are times when it can get very ugly. But you know what, this doesn’t exclusively apply to humans; it can also be witnessed on anything you can think of. Guess what, Apple’s brainchildren are also affected by the aforementioned phenomenon. The iPhones 5s and 5c are always being compared to each other, given that they were released in the same place at the same time. Thereafter, people have been scrutinizing the figures that both models are doing about. And as it turns out, the 5c is left behind in the numbers game while the 5s has been regarded as the fastest-selling iPhone of all time. Some might ask, why is this even the case? For starters, the 5s has been integrated with a number of powerful specs and innovative features that are first seen in the smartphone industry, such as the Touch ID and the A7 processor. In addition, the camera enhancements of the 5s have captured photography enthusiasts and selfie-addicts alike. And if you are on the brink of making the biggest decision of your life, will you be choosing the feature-packed 5s or the plastic-coated 5c, which are just one hundred dollars away from each other? Even I might have chosen the 5s, considering the parsimonious me. Let’s not go further away; anyway, it’s the iPhone 5c we’re talking about here. According to Dominic Sunnebo, strategic insight director at telecoms research firm Kantar Worldpanel ComTech, “The cheaper 5c appeals to a broader audience than Apple usually attracts.” The colorful, plastic-covered phone has captivated an older, less well-off clientele in the U.S. market. Figures show that 42 percent of iPhone 5c owners earn less than $49,000 compared to the 21 percent for iPhone 5s. Also, demographics in terms of age shows that the average age of 5c users are of 38 years old, unlike for the 5s of 34 years old. However, the greatest news here for Apple comes from the appeal that the iPhone 5c has among non-iOS users. It shows that almost half of the 5c users have switched from competitor brands, specifically from Samsung and LG. For them, the 5c turned out to be the safest transition from whatever mobile platform they were into to iOS. After that, it’s up to the 5c to ensure that the new recruits will love iOS that they will never consider leaving ever again. After all these, can we regard the 5c a big success? I share the opinion of a number of analysts that it is. It may not have outdone the 5s, but it definitely helped Apple in boosting its share in the global smartphone market. One of the latest and most promising innovations in the smartphone technology is the flexible OLED display that is said to be virtually unbreakable. Both of the South Korean tech giants Samsung and LG had taken the initiative in integrating this state-of-the-art technology to their smartphones resulting to the Galaxy Round and the G Flex respectively. But then, a lot of consumers and analysts alike were disappointed that the smartphone itself isn’t flexible; bluntly, it’s just a bendable display together with solid components in an inflexible casing. According to Sascha Segan, a mobile analyst at PC Mag, Samsung and LG are “really just using this to jump-start that curved screen production so we start seeing curved screens on other devices early next year.” If this innovation will be given much attention, it can result to a future where smartphones are completely bendable. The G Flex is dubbed as the Wolverine from X-Men of smartphones due to its capability to auto-regenerate from damages. At first, many were skeptical about this self-healing feature. 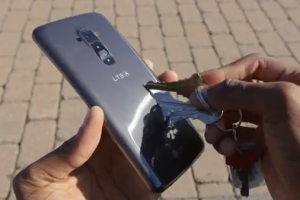 The promotional video released by LG itself wasn’t enough to obliterate the cynicism in the minds of mobile consumers, but everything changed when YouTube personality/ video producer Marques Brownlee put the device to the test. In the video, he scratches the dorsal portion of the phone using a set of keys. In a matter of a few seconds, the scratch marks were greatly reduced though not completely removed. Nonetheless, they became less apparent and slightly invisible to the naked eye. And if that’s not enough, he took out a knife to carve a deeper scratch into the back part of the phone. Brownlee notes that the “scar” half-healed. Even so, the scratch inflicted in the G Flex became less obvious as compared to when it was done to a regular phone. Brownlee then came up with an analysis for why the theory didn’t work as perfect as how it appeared in LG’s promotional video. As it turns out, the official video clip from the manufacturer was filmed in a controlled temperature environment with the thermostat set to 81 degrees Fahrenheit. And Brownlee believes that the self-healing coating boasted by the G Flex isn’t that effective in cooler climates; the feature will work better in tropical countries. Be that as it may, although it MIGHT not work exactly very well as advertised, the new, regenerative coating that LG incorporates in its first-ever curved smartphone is a diamond in the rough. It became an eye-opener to the possibility of a truly indestructible electronic device. Currently, the G Flex is only available in its motherland; let’s hope that it be available outside of South Korea soon. Dust Destroyer (optional)—good for getting rid of dust. Apple’s iPad Box Cover—will definitely be useful to have your screen be bubble-free. Step 1: Clean and remove any dust or dirt on your screen. You can spray first the Dust Destroyer if available, and then you can wipe it all off with the soft cloth that comes with the package as you buy a screen protector. Step 2: Now, peel back the label marked number 1 of the screen protector. 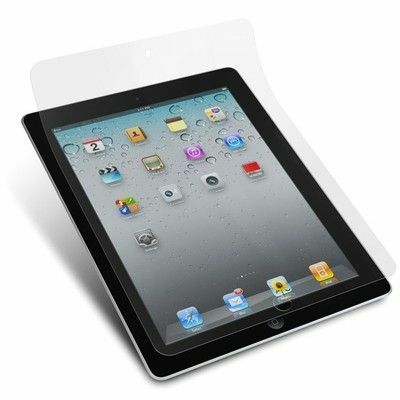 Be careful not to touch the adhesive side of the protector’s surface so it stays clean and fingerprint-free. Step 3: After peeling off a small portion of the film attached to Tab 1, flip it over and align the film to the corner of your screen. To hold it in place, use one hand to align the protector to the iPad and the other hand to hold the folded film on the bottom. Step 4: If there are some air bubbles, just lift up the film a little and use your finger to smudge out the bubbles. Do it repeatedly if necessary, or you can just rub the bubbles off lightly with your fingers. Step 5: Pull the film from underneath the protector until 2 inches of the protector is on the iPad and here is how the Apple’s iPad Box Cover gets useful. Hold the box with one hand as your other hand grabs the film under the protector. As you pull the film, gently slide the box across the iPad to prevent air bubbles from forming. Step 6: Peel the label marked number 2. And there you have it, a bubble-free iPad screen. You won’t need to spend hours getting rid of air bubbles with a card now. Have fun gazing again on your screen, worry-free! How much penny have you spent just to let the wind blow that pristine iPad Air into your hands? My point with asking that is this ingenious device is outright expensive to start with. And this almost paper thin gadget would definitely blow one’s mind not only with its lightness, but also with its features. Have you ever been in a situation where you are fumbling for the right words to say, and suddenly it hits you that you shouldn’t say those things? So, what do you do now? Keep tapping the backspace in order to delete the evidence. Too much work, right? Good thing iPad Air has now an inclusion of a feature that lets you delete the whole text just by shaking your iPad and toggling the option Undo Typing. But what if you changed your mind and thought that you really intend to send it? Don’t shake your head yet, just shake the iPad and it will prompt a Redo Typing option. Aside from the new tricks of iOS 7 with its keyboard, did you know that you can actually split the keyboard in two with your iPad Air? Considering how wide tablets are, you’ll definitely have hard times in typing especially if you are used to typing words and phrases with your thumbs on your gadgets with touch interface technology. To do this trick, just tap and hold the keyboard icon on the left bottom, and once the options popped-up, hold it still and drag your finger to Split option. That will do the trick. But if you want to get the keyboard back again, tap and hold the keyboard icon once more and select Dock and Merge from the popped-up menu. 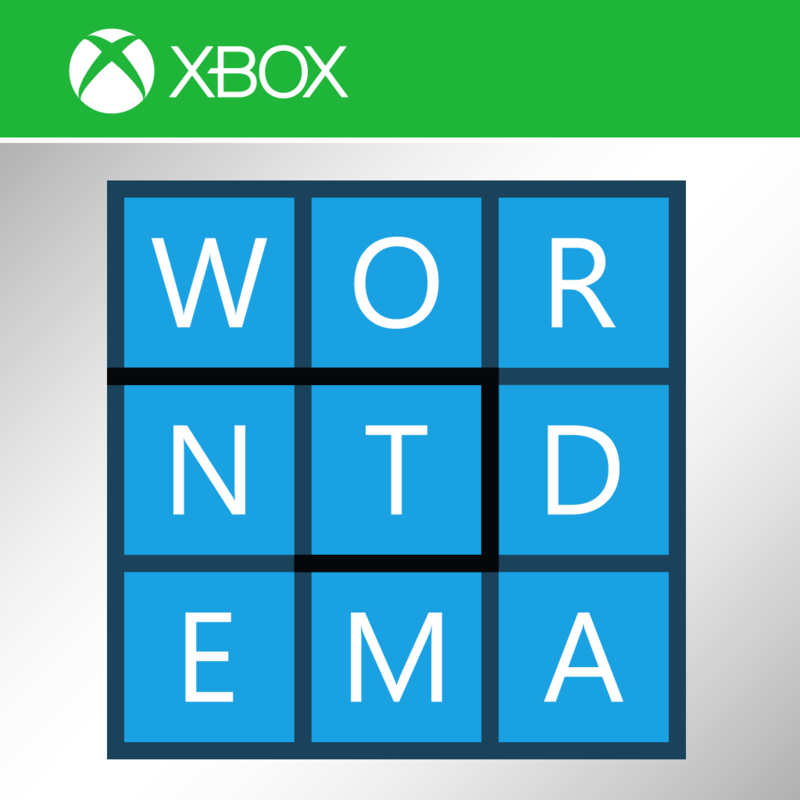 Say like, you’ve been typing and typing a long word over and over and over. Perhaps you are sending a report or something. You know possibilities. And you know that typing and typing the word every time is taking up your time. Good thing, iPad Air offers a feature that creates a keyboard shortcut to a word or phrase even. To be able for you to do this trick, go to: Settings > General > Keyboard > Add New Shortcut … and from there, you can create a shortcut for any phrase to your liking. It’s a real time saver indeed, right? 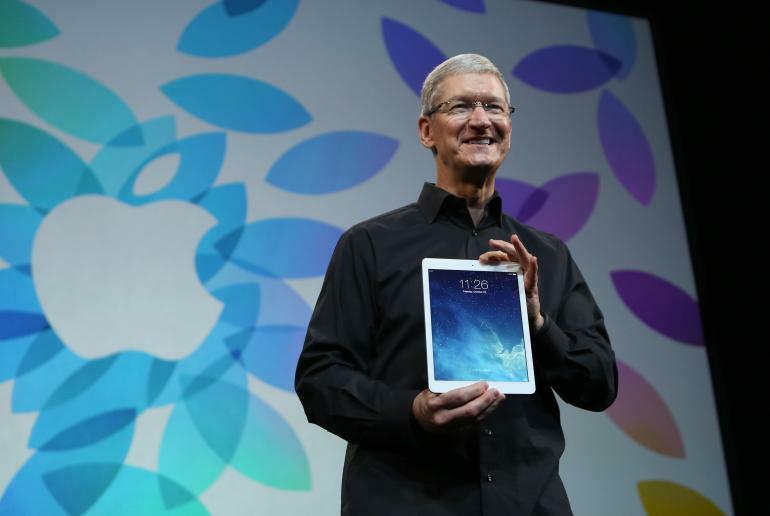 With the specs iPad Air offers, it can do pretty much a lot of things. And it sure can pretty much do them all at once. So, if you are trying to do a multi-task, just press the Home button twice, then a Multitasking tray will pop up at the bottom of your screen. You’ll notice the recently used apps on the screen. You can tap them to launch them once more, or close them by swiping straight up. You can also close them altogether by placing your fingers on top of each app and swipe them straight up. So, these are the few tips and tricks that are definitely worth a try. You’ll definitely be going to need them so might as well take note of them. 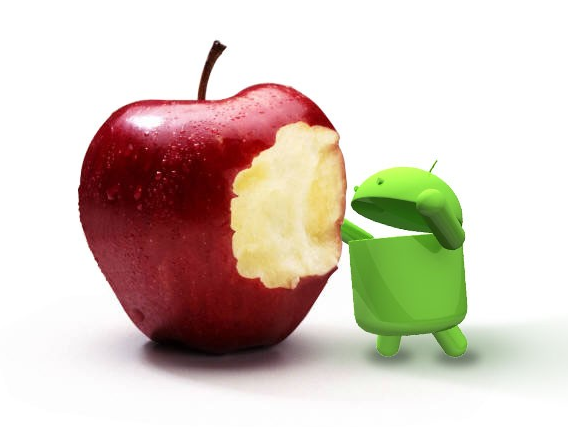 Why Should You Choose Android Over iPhone? Apple’s CEO, Timothy Cook, was indeed successful on putting their iDevices and their iOS 7 on top of the headlines. The blogosphere couldn’t even breathe of all the news talking about all the bits and bites of Apple. Some are good news; some are not, but that’s just the way it goes, isn’t it? Not to pile on the good news; not even on bad ones either, but I guess somehow Android deserves the limelight despite of what Apple offers. Here in this post entails a few reasons on why you should choose Android over iPhone—and to justify which smartphone really is smarter. How do you take a screenshot on your phones? Well, when you are using an Android phone, which is not either the Galaxy S3, S4, Note 2, or Note 3, you’ll pretty much have to press and hold the menu and the power button simultaneously—and this is somewhat likely how you do it with iPhone. However, when you use the aforementioned high-end Android phones, you can just actually snag a photo of your screen by using its feature Palm Swipe. In this way, you just have to slide your hand in a “chopping” position from left to right across the screen, and then you will hear the shutter sound. See? It’s pretty much easy. Wait, what? Indeed. Stating the obvious here, your Android device has an inclusion of micro-SD memory card slot—this is what Apple’s iDevices lack. And so, you’ll definitely have fun filling it up with files and whatnot. And you can even use it like a USB flash drive. Just connect it to your computer using a USB data cable and store or swap files on your device so long as it can accommodate the file size. Can your iPhone do that? What are smartphones for? What are gadgets for? I can’t stress this enough; they are made to help people carry out their everyday activities in a less complex way. Not to mention, they keep us socially connected in every way. And knowing that Android holds the throne of being the most customizable of all mobiles, tweaking has never been more of a surprise. This trick I’m about to say will save us time and a lot of swipe actions. Did you know that you can actually make a shortcut of phone numbers on your home screen? You just have to hold down your home screen until a menu pops up, choose Shortcuts, select Contact, and choose your favorite contact or the person you mostly interact with. So, the next time you have to call him or her, you don’t have to dig your phone book just to get in touch with him or her. All you need is a simple tap and… oh! Hello! No matter how much you tap each Android phone and iPhone just to defend which phone gets the throne, each launch of the two will be always going to kill the other—leaving you hard-pressed to know which one really deserves it. 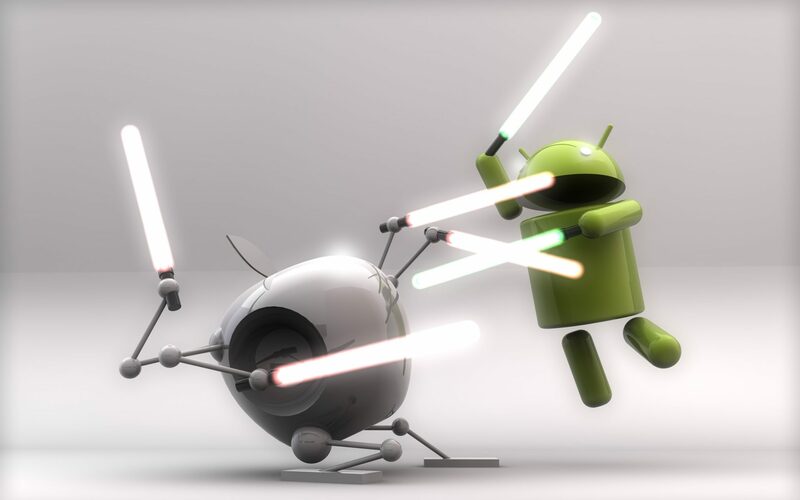 But it’s all apparent that Android is the most flexible of the two. Sure enough, iPhone can do some of the tricks, too, but you still have a need to have your iPhone jailbroken so as to do so. Now, who do you think deserves the limelight? The eyesight is the most essential sensory input for human beings. Most of the stimuli that are processed in the human brain, eliciting a response come from what we see. Therefore, we have to take care of our eyes to ensure that we may continue to see the world until the day that they may be laid to rest. Living healthy is not a guarantee that our eyes will be able to function the way they used to from the day we first opened our eyes to see the light. Our sense of sight develops, and it eventually diminishes. Hence, to control how our eyes are subjected to the wear and tear of human nature, we have to observe some precautionary measures and have them checked up by a specialist. It is a fact that 80 percent of blindness is avoidable, and 90 percent of blind people live in low-income countries. It is also a fact that this era ushers more people with an access to mobile phones than clean drinking water worldwide. Imagine yourself blind for a day in your life. Even the picture in your head is already so debilitating; what more in the case of those people who can no longer see the light of day throughout their entire lives? Peek Vision is a smartphone-based app that enables comprehensive eye exams to people of every race and creed. 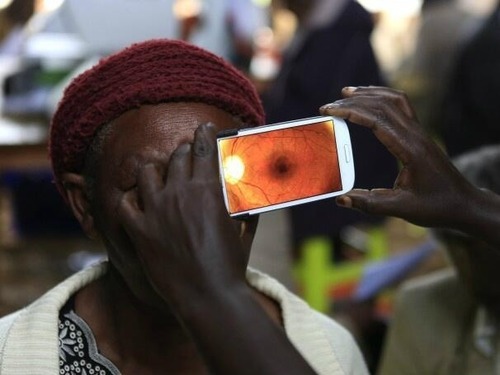 It is easy to use, affordable, and absolutely portable; all one has to do is bring his feature-packed smartphone with him, and he can be able to diagnose eye diseases and provide means for managing the case. Peek Vision can be used to check patients’ abilities to see color, test for long or short-sightedness, and detect the presence of cataracts or any eye conditions. It takes advantage of a smartphone’s camera, flashlight, and display in checking how the eyes react to stimuli. In addition, it allows doctors and optometrists to track the progress of their separate patients and keep a record of their geolocations. This app is perfect for doctors in performing their sworn duty in rural or low-income areas in lieu of medical equipment. The app is developed by the members of the International Center for Eye Health, a research group based at the London School of Hygiene and Tropical Medicine. 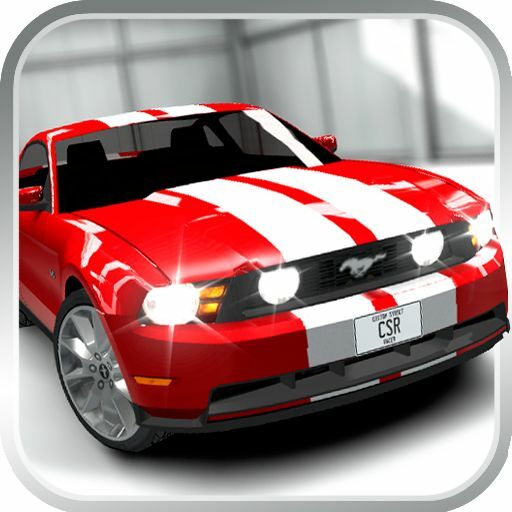 As of this moment, the app isn’t yet available on app stores of any mobile platform. But soon, everyone will have access to a comprehensive eye health examination that will help them preserve their eyesight. This is definitely a testament that technology is our friend. It has made the ubiquitous mobile phone a cheap portable alternative to determine eye health instead of using a professional equipment that requires a remarkable skill to operate. This can be used by generally anybody within the health community—or the lay alike—in making sure that the eye remains the window to one’s soul. In this technological world, one does not simply have only one gadget at hand. And even the oldsters are no longer left behind. For all you know, they could still pace up with the techie young ones. And so, you’ll probably see them tapping on their gadget’s screen with their eyeglasses on. Well, those nifty gadgets look so enticing to you, how much more with the kids? When I say kids, I’m referring to the little ones. Anyone with a child knows how much their little kiddos love to grub these touch-enabled gadgets out their hands. But more often than not, parents couldn’t trust their gizmos—not to mention pricey gizmos—to their toddlers. Who could blame them? These little angels still haven’t fully developed their motor skills and their reflexes yet, so a parent would definitely be anxious to trust the children not to the drop the gadget—or damage it. *shudder* … Be ready for buying replacement parts for gadgets and just hope that they are available. Good thing that there are tablets made for children. But do you have to buy the appropriate tablet for them? You could, if you don’t consider money as a factor. But, in the side of practicality, one does not simply buy another tablet just to cater the needs of your kids. 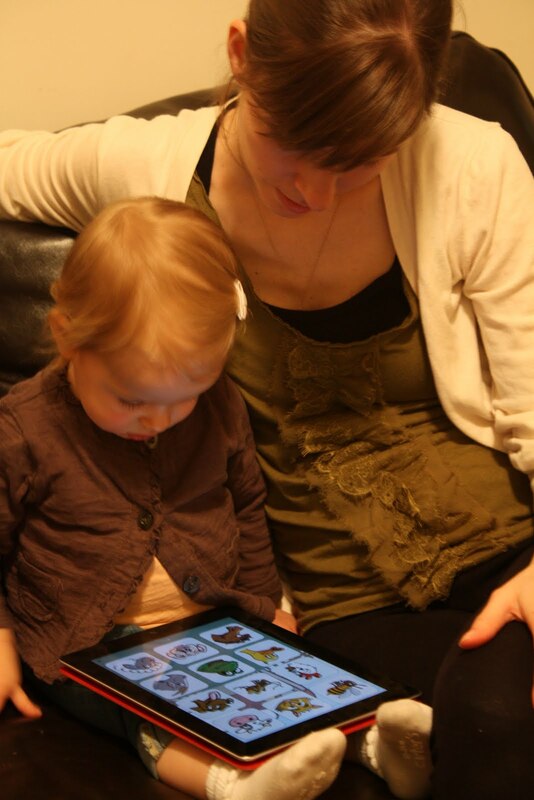 Why would you buy another tablet if you can make the tablet safe to hand over to your child? Go to: Settings app> General > Restrictions > Enable Restrictions … iOS then will prompt you to set a passcode… set it up and confirm. Once you are in the iOS’ Restriction settings, you can now disable the access of your kids with such features like browser, camera, and the list goes on. You can restrict the access of explicit songs and videos even. Well, do you think only iOS can do that? Android offers a neat trick, too. Go to: owner account > Settings app > Users > Add user or profile > Restricted profile > … and now you can specify apps that you child can access. If your tablet is loaded with amusing apps—perhaps apps that are amusing enough for your kids—then there’s a great chance your kids would not wander off—at least anywhere else in your tablet. Hah! There are a heap of apps for your kids meandering over the Apps Store—or in Android tablet’s case, Play Store. 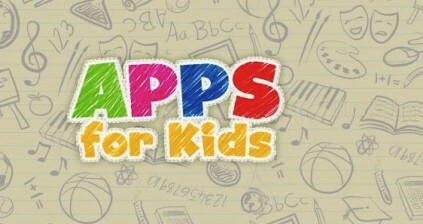 Now, there is no dedicated section of apps for kids on that of Play Store, but you can always rely on Entertainment and Education sections. A tablet handed to a toddler? Well, that should be armored not just internally, but also externally! 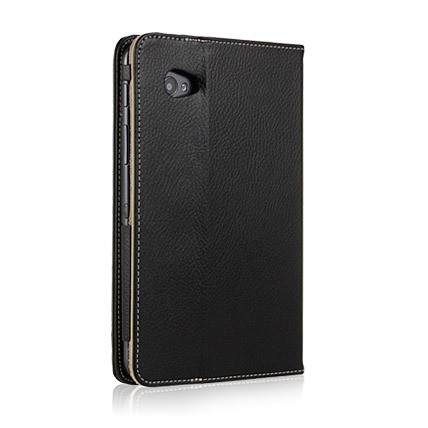 Just in case your little one is prone to dropping your pristine tablet, might as well encase it with a sturdy case. The best tablet folio to buy is on your trusted store, be it through online mobile store or in-store. So, have you taken these three simple steps already? Be geared up as you hand over your tablet to your kids! Can Your Earphones Get Any Cooler Than These? Earphones, headphones, in-earphones, earbuds—or whatever you’d like to call them—have become one of the needs to enhance digital listening. 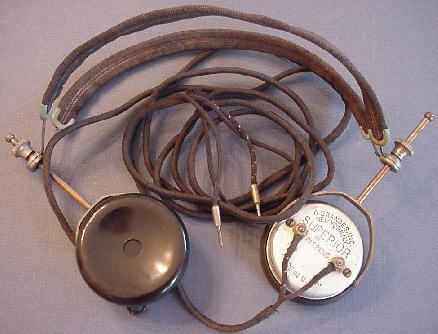 If we dredge up a bit, earphones was not something revolutionary and they have existed for nearly a century! Earphones were not really a cool accessory, not a fashion statement, not a symbol of prestige or just a feeling of awesome coolness. That all changed in the 80’s when Sony Japan came out with the Walkman and it spread like a wildfire throughout the world and made a new trend of portable cassette tape players. As many competitors came out, Sony has maintained its market positioning for about 2 decades until the portable MP3 players came out, with Apple running in the forefront with its iPod in the early 2000’s. Like many other Apple products, they create a cult type of following. And since then, those headphones have been a staple of our backpacks. Earphones have started as a simple earpiece that serves as a pair of small loudspeakers designed to be held in place to a user’s ears. But today, earphones became a part of fashion statement as well, which they no longer just use for listening to music, but also as a part of vogue to express ones personality. 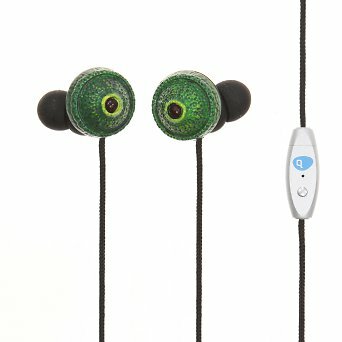 So you think you’ve got the best unique earphones yet? 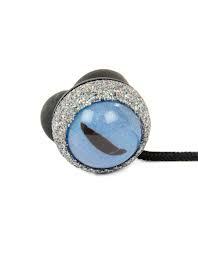 Or your quirky earphones can be quirkier? I found six cooler and quirkier designs of mobile earphones from Quarkie—British design brand—that could make you drop your jaw more than that of beats. In other words, one that can beat the beats! The day I found these, I bought all 6 kinds so I have something to wear different every day I go to work! And just as expected, on the very first day I came in with this rad designs, my colleagues at work immediately asked where I scored these pieces of great technology. Here is what I think about these 6 earphones. Damn, this thing is fierce! 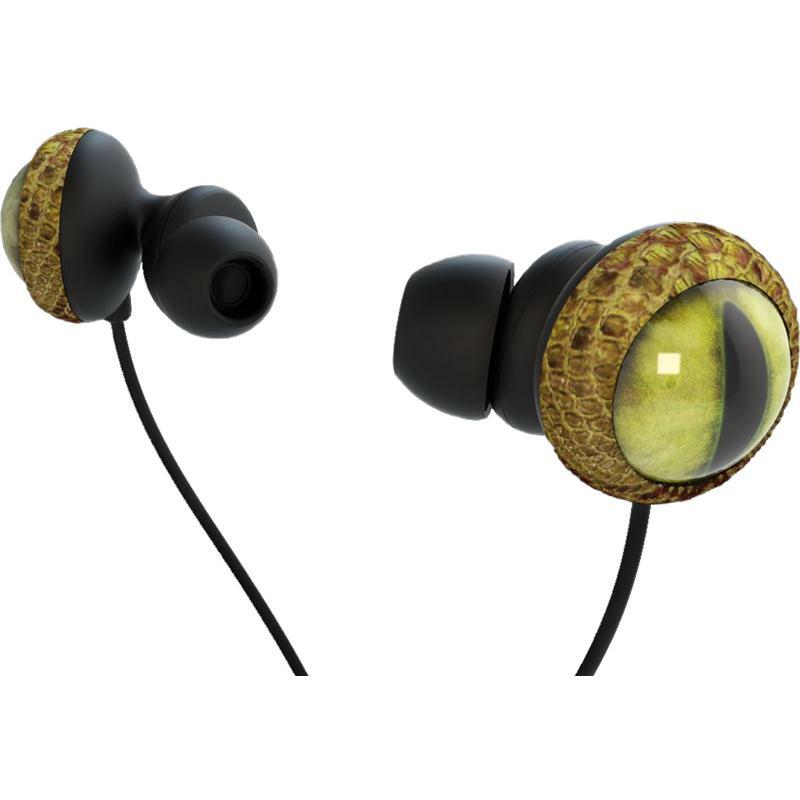 The stare of the cat is now staring back at you with this pair of cat-eye-inspired earphones! Not only does it look striking, it actually sounds great, in fact it sounds a bit clearer than my popular plain white earphones. These music lovers and electronic engineers that built this were really innovative and imaginative enough to produce this funky blue-eyed cat audio art. And when I want to feel quite elegant, Purple Gemstones Design is what I plug into my ears. Besides, some people find cat’s eyes somewhat creepy. As you fit it on, you’ll look more quite elegant and classy. Only, they look like earrings that are displaced. 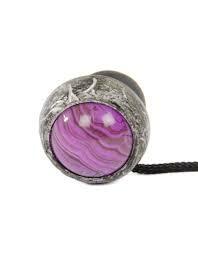 But with purple gemstone with a metal-like rim, it just spells out classiness. Elegant as it looks and is designed really well, but it still has an optimum listening experience than that of other headphones designs. Pretty neat, I say. For a change, I also tried Rusty Bolts! 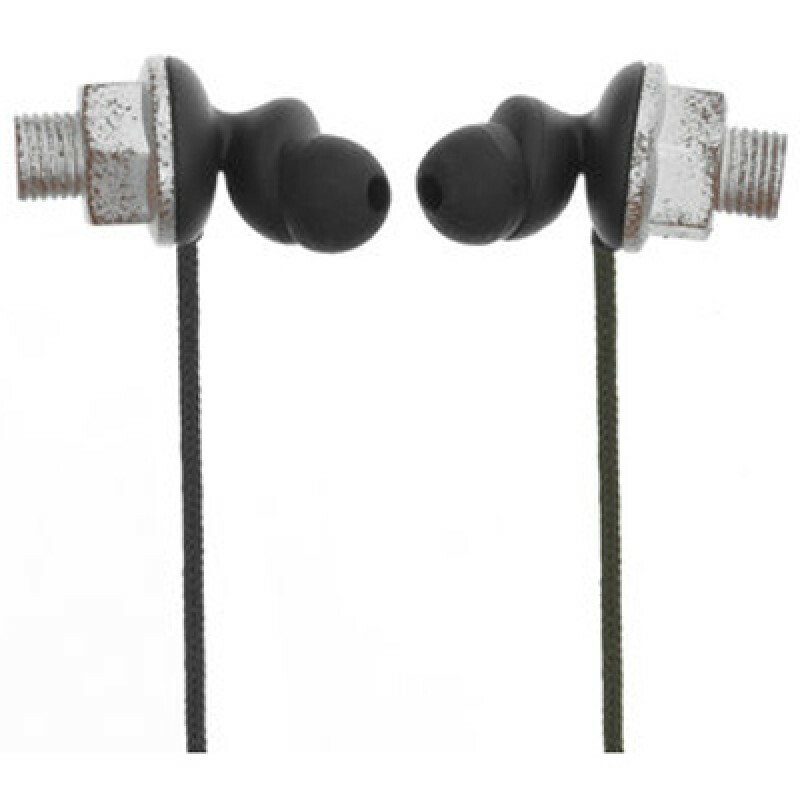 Rusty as they may seem, but these earphones can clearly produce a non-rusty quality sound. These are just outlandish designs, aren’t they? If you’ll think of it, you are more likely mimicking Frankenstein! Hah! Only, the bolts are “screwed” on your ears. This Chameleon Eyes Design is an eye-catcher indeed. It has caught my attention, that’s why I wore it first than the others. They also achieve the incredible sound by using specially developed 13.5 mm drive units that also has an aluminum voice coil and neodymium magnets. Need I mention that they are ear-catching? Not only do they have Cat Eyes and Chameleon Eyes, but they also have the yellow sssnake eyesss! I nearly freaked people out with this one. Hah! 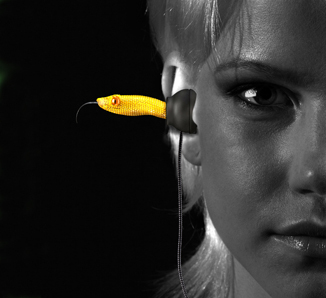 These earphones have low distortion, wide-bandwidth and said to have an excellent transient response—like a snake eyeing on its prey. And with that being said, I couldn’t agree more. With Snake Eyes, I just nearly freaked out people. But with Snake Heads Design, they said nothing. They just stared with eyes wide open in shock! It comes in yellow and green, and I have both! Get those people’s tongue out with this pair of headphones! These are the designs you’ve got to try if you want to be the best among your friends. I have chosen mine; all of them! How about you?